The ULTIMATE assortment of chocolate covered strawberries. These delicious, juicy strawberries are dipped in belgian chocolate, covered, then rolled in delicious treats like nuts, sprinkles, chocolate chips, and coconut making for the perfect gift. 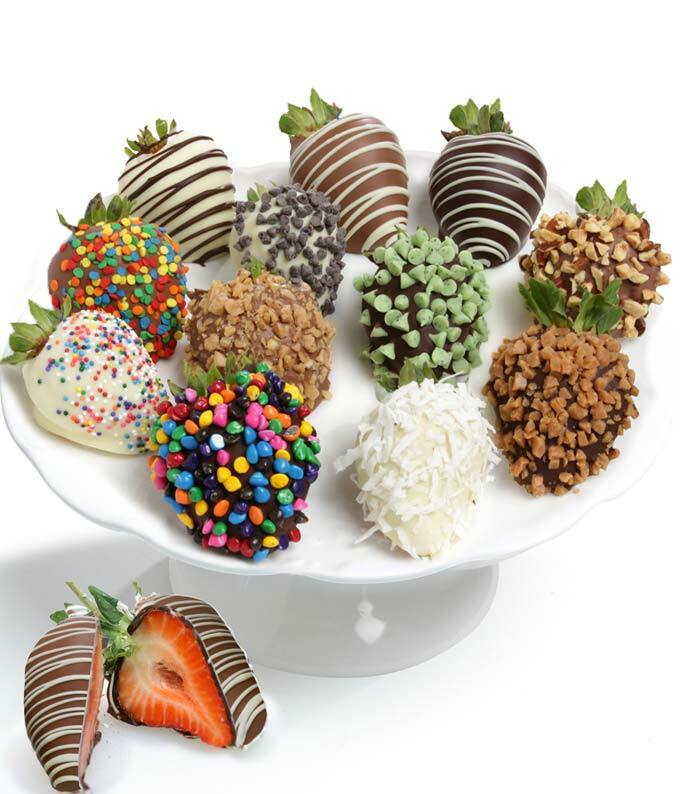 Order candy chocolate covered strawberries for a gift to celebrate every occasion.